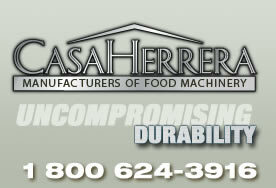 When purchasing flatbread, corn, flour or tortilla or chip manufacturing equipment from Casa Herrera, we are dedicated to providing the highest level of customer service. Whether you need on-site maintenance, technical support, documentation, or replacement parts, Casa Herrera's team's rapid response will keep your manufacturing operation up and running smoothly. Our trained technicians will come to your manufacturing facility. Our trained team of flatbread equipment manufacturing experts are available to come to your facility and troubleshoot any difficulties you may be experiencing with the manufacturing process. On-site visits can be arranged by contacting Casa Herrera directly. 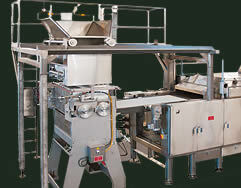 Are you experiencing problems with your flatbread manufacturing machinery? 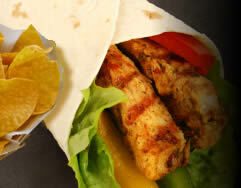 Issues such as factory temperature, humidity, differnt types of flour or masa, etc. may affect equipment performance and output. Casa Herrera's Technical Support staff have in-depth knowledge and can help with your problems. Telephone support is available from 8 am to 5 pm Pacific Time. Casa Herrera's commitment to quality customer service means we will take as much time as you need in order to ensure optimal flatbread manufacturing eqipment performace and output. 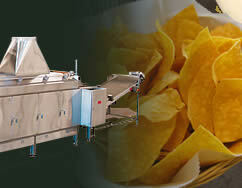 Casa Herrera can supply you with any spare parts for your flatbread and tortilla or specialty bakery manufacturing processes. From sourcing to fabricating a new part or reverse engineering parts, our employees will find you the parts for the perfect fit to keep your equipment running smoothly for years to come.